When vintage begins next week at Recline Ridge Vineyards & Winery, the pickers will include the new owners, Graydon and Maureen Ratzlaff. They took over the winery this summer in a career change motivated in some measure by a desire to change lifestyle. When it opened in 1999, Recline Ridge described itself as Canada’s northern-most land-based winery. It lost that title this summer when Celista Winery opened at Celista, on the north shore of Shuswap Lake, and with global warming, Celista may one day also be eclipsed by an even more northerly vineyard. Recline Ridge, however, helped inspire the growing number of wineries around Salmon Arm (five and counting). Recline Ridge was launched by Michael Smith, then the manager of the cable television system in Salmon Arm and, like Graydon, a veteran home winemaker. But in 2008 Michael put Recline Ridge on the market. “I want to do something different,” he told me last year. “It’s just been a whole lot more work than I wanted.” A one-time hobby pilot who sold his airplane in 2008, he has teamed up with friends to sail an ocean-going yacht. Both he and Maureen were born in New Westminster in 1952. Graydon grew up in Summerland when his father, a dentist, moved there in 1958. Interested in science, Graydon enrolled in science at the University of British Columbia and then switched to the university’s new food sciences program. He recalls there were only 16 in his graduating class in 1974. He began his career in food processing at Kelowna’s Sun-Rype Products Ltd, spending 12 years there in quality control, technical services and production. In 1985, he and his family moved to Vancouver where he worked two years for Nalley’s Canada Ltd., the snack food company. From there, he joined first a division of British Petroleum that made the food products needed by fish farms and then its competitor, Norwegian-owned EWOS Canada Ltd. With these companies, he managed the start-up and operation of processing plants in Canada and overseas for 12 years. By 1999, when he was ready for a change from the fish farming industry and its controversies, Vincor recruited him to get its wine products plant up and running. After that he spent two years with a company making frozen bakery products, a year with Golden Boy Foods LP, another snack food company, and finally several years as a senior executive with Sunrise Poultry Processors Ltd. in Surrey. The winery comes with an attractive tasting room, a large log building that Michael Smith had acquired. 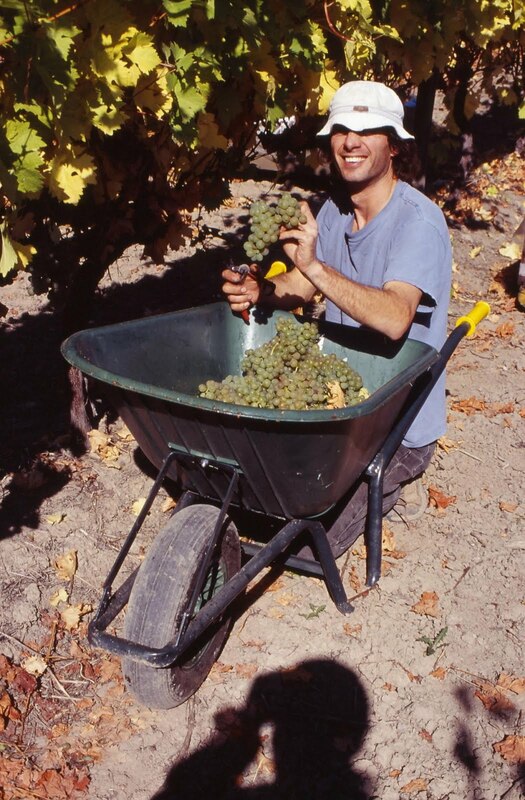 The staff has stayed on, including Jesse Steinley, the vineyard manager and now also the winemaker. There is seven and a half acres of vineyard growing Maréchal Foch, Siegerrebe, Madeleine Angevine, Madeleine Sylvaner and Ortega. In its early years, Recline Ridge also bought grapes from the South Okanagan. Michael stopped doing that once more vineyards came on stream in the Salmon Arm area. Graydon plans to continue that.